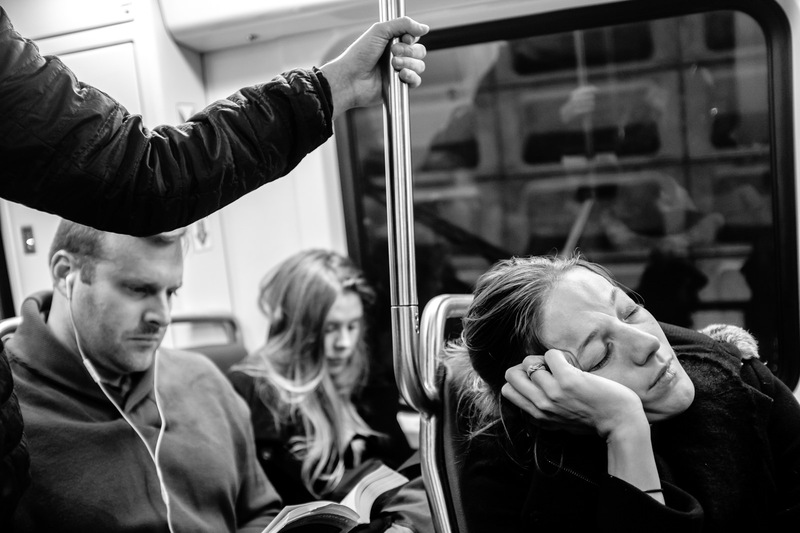 There are some cities that get all the love when it comes to street photography. New York, Havana, Istanbul, Paris, Mumbai seem to show up on everyone’s top 10 list. Washington, D.C.? Not so much. 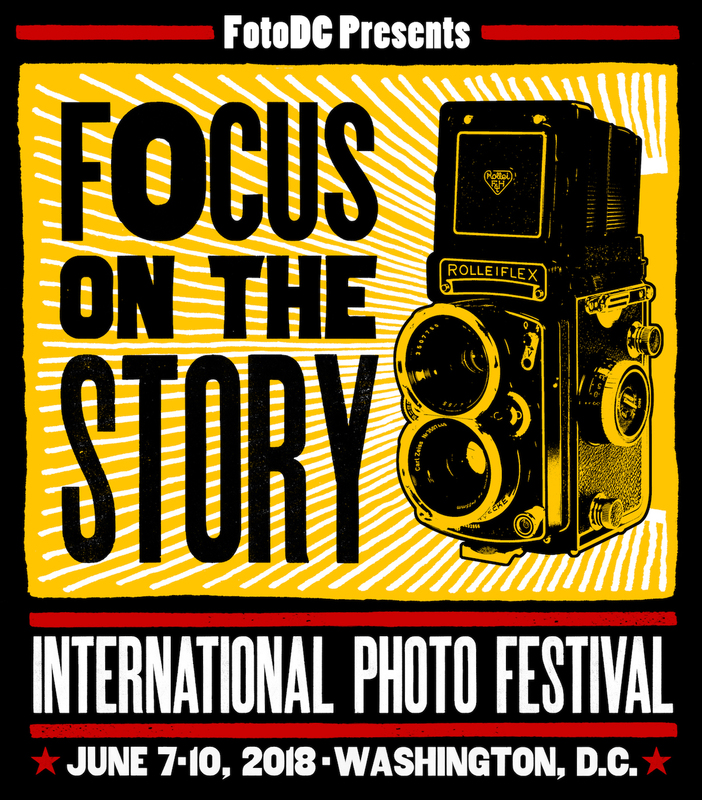 However, if you’re a street photographer coming to the district for the Focus on the Story International Photo Festival, we think you might be surprised at some of the opportunities you’ll find in our many diverse neighborhoods. 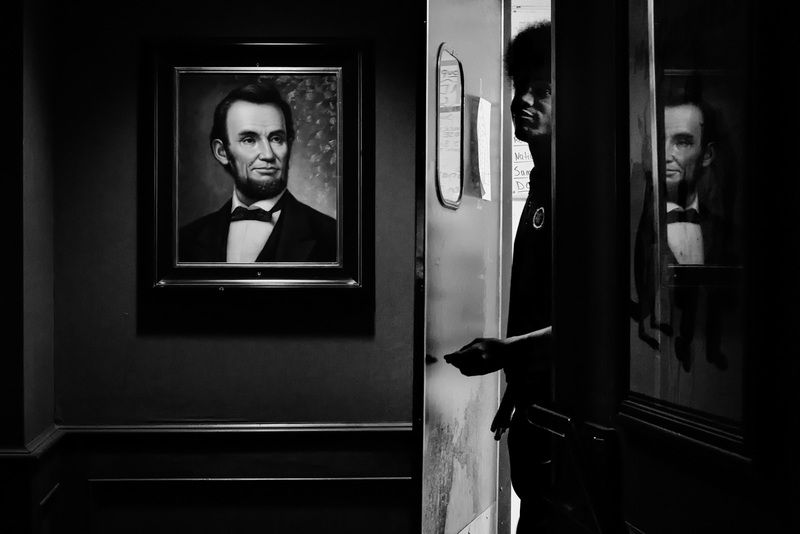 We asked Kirth Bobb, of our festival team, to share some of his favorite street images and to give the city its due as a street photography destination. Kirth is an international wedding photographer but you can often find him wandering our vibrant neighborhoods, documenting the wonderful juxtapositions you’ll find in a place where the suited power brokers, social justice warriors and sightseers all converge. 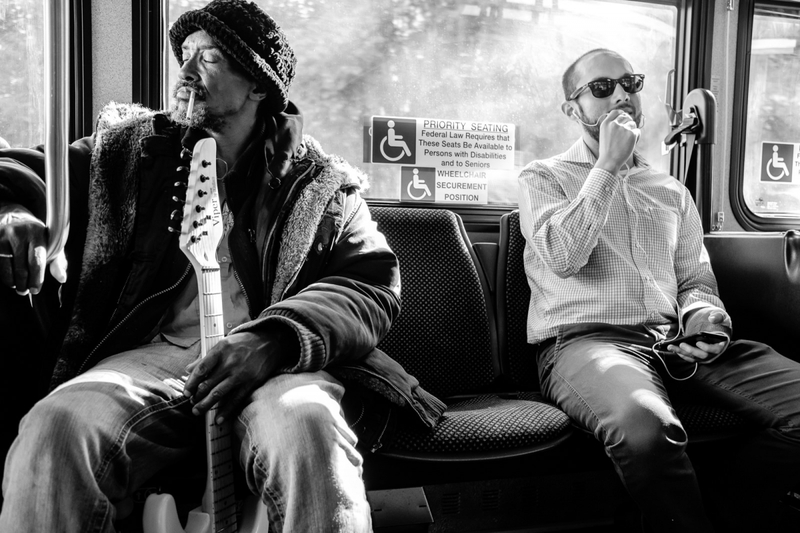 Focus on the Story: What do you enjoy most about street photography? 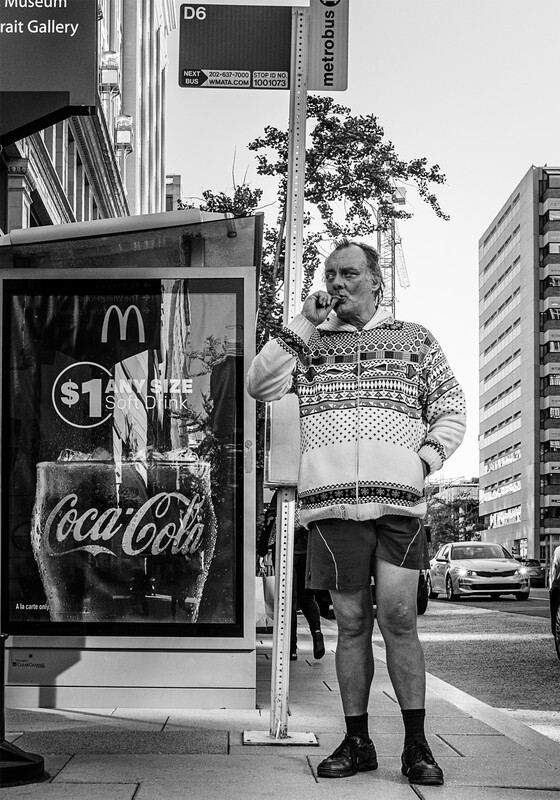 Kirth Bobb: The thing I enjoy most about street photography is that it gives me an excuse to mind other people’s business. I’m halfway kidding, but being in the streets with my camera and continually looking and practicing being present gives me the pleasure of seeing things that most people tend to miss. It’s like going to a movie and getting in on all the best parts while your companions snooze or miss the best parts because they went to the get more popcorn or were using their phones. There’s also a sort of fantasy aspect to photographing in the streets, I get to make up my narratives about what the images I’m making are about or what may be happening with the actors in the scene I’m photographing. 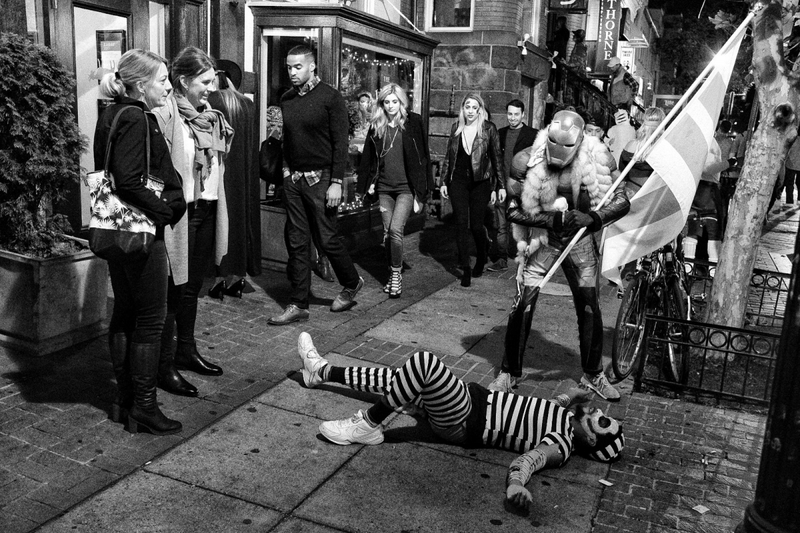 FOTS: What makes street photography in D.C. special?. Bobb: Street photography in Washington D.C. is special to me because, to some degree, Washington D.C. is a city in constant transition. D.C is a major tourist attraction, so we continuously have visitors. Then there is the business of D.C. Elections happen, administrations change, and there is turnover. That turnover often determines who lives and works in and around the district, and ultimately, who occupies the streets of this beautiful city. There’s also a constant juxtaposition of the past with the current that fascinates me. The range of subject matter and stories I find here in D.C. is often overwhelming, but the journey of discovery continually drives me to go out and make photographs. In a news article I stumbled upon some time ago, I read that Washington D.C. hosted approximately 2,436 marches between 2014 and 2016. And these numbers keep rising. It makes sense that the citizens would flock to the capital to air their grievances with whatever issue is affecting them. 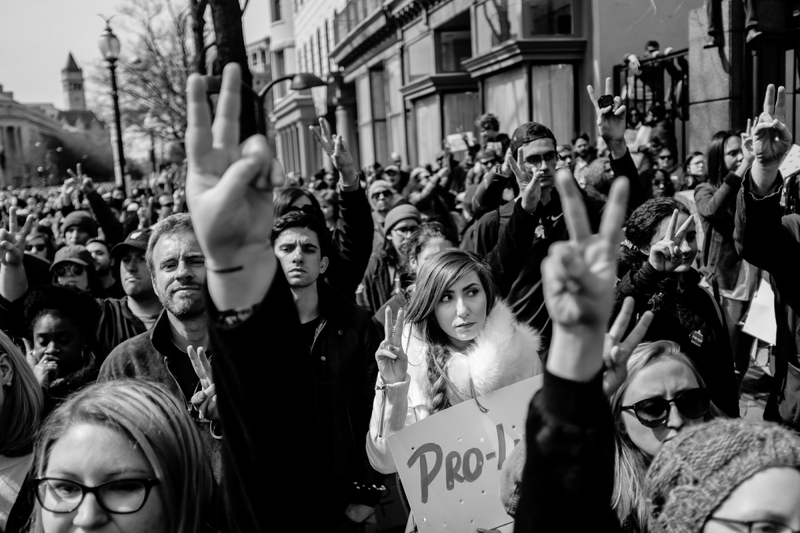 In the past, I’ve deliberately avoided attending protests or rallies to make photographs. I found it difficult to disconnect in a way that would free me to make the photos I wanted in the moments I encountered. However, recently I made a conscious effort to make pictures during the recent March for our Lives. I have been able to disconnect to a point where I go because “it’s a big/historical deal” and I take it all in and make images of the stories and things that I find interesting. I don’t think you find that in a lot of other places in the world. Or at least, I’ve yet to discover another city quite like Washington D.C.
FOTS: Do you have favorite spot in the city to shoot and why? Bobb: My favorite spot to photograph is in and around my NW D.C. neighborhood of Petworth. Often, commissioned photography takes me to lots of different and exciting places around the world, and at some point, I realized that I had become spoiled by always being in areas that are overtly interesting or picturesque. Making images close to home has forced me to seek out those small things that inspire me enough to create photographs. Photographing areas close to my home, and just by observing more of what’s happening, I get to gain new appreciations for not only the city but also my neighborhood, and I even get to meet fascinating people who are literally in my own backyard. I also enjoy making photographs on the DC’s public transit system. Want to see the makeup of a city? Ride a few of the public bus routes that take people from the more residential parts of the city to the more commercial downtown areas. Washington D.C.’s underground subway system (METRO) is so beautifully architected that it’s almost impossible for me not to make images whenever I ride the METRO. The quality of light and lines in the subway is sublime, and when you add human elements, the potential for photographs is limitless. FOTS: Tell us about your favorite D.C. street image. How did it come about? What kind of story do you think it tells? 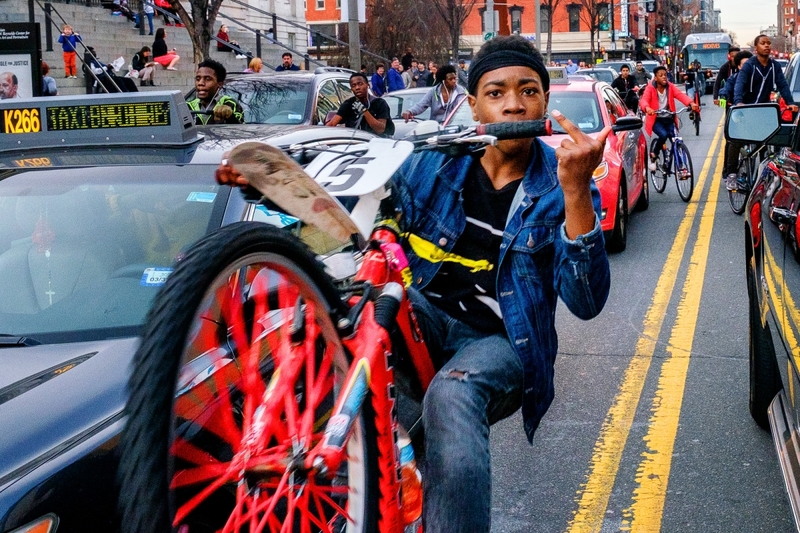 Bobb: To date, my favorite street image from D.C. has to be “Rebellious in DC”. This image came about while I was observing a few youngsters who congregate in a popular downtown DC area and as I observed the group, one particular young man stuck out to me. He was definitely one of the more interesting characters. Before I could make my way to where he was standing, he hopped on his bicycle and began riding in my direction, with his posse following closely behind. I made a b-line for the middle of the street just as he was riding past where I was standing, raised my camera and made the image. 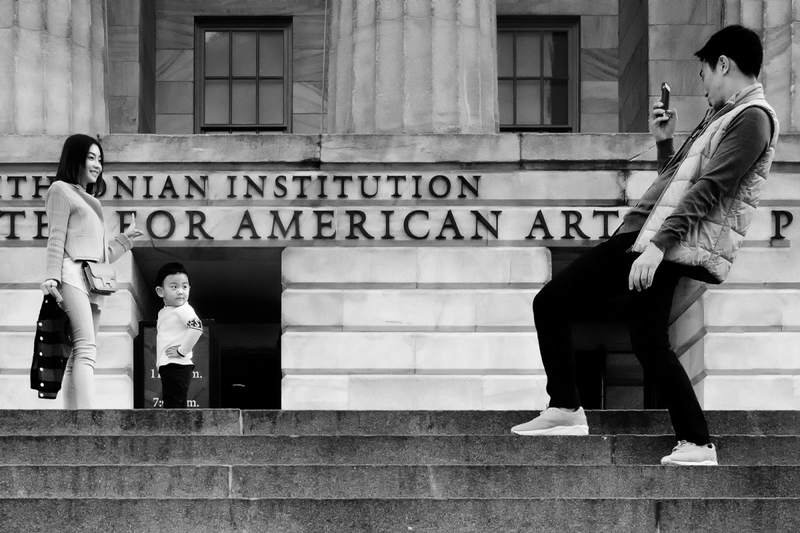 FOTS: What advice would you give a street photographer who is visiting D.C. for the first time? Bobb: Just take it all in, work to overcome the feeling of being overwhelmed, look beyond the obvious and then just make pictures of the things you find interesting. Finally, don’t worry about anyone “seeing you”, no one really cares about what you’re doing anyway. More than likely, if you are doing it right, you’re going to be the only one paying attention, and that’s when you become invisible. All images © Kirth Bobb. You can see more of this work on his website.